Harajuku is a bustling downtown in Tokyo (refer to #036). 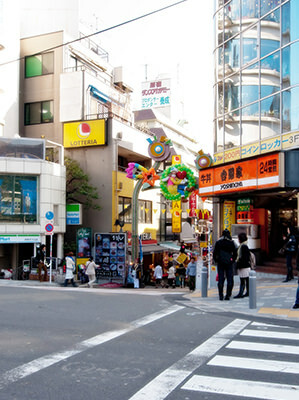 Takeshita Street, right in front of Harajuku Station, is very popular among Japanese teens and tourists from abroad for a wide variety of fashion stores and crepe stands. 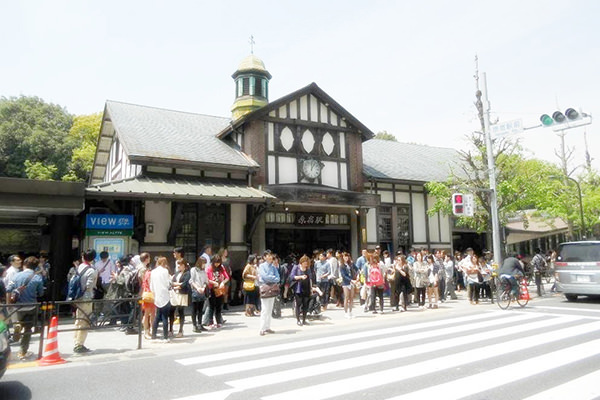 Meiji Shrine, located in the west side of the station, stands in the middle of a vast forest. This sacred site attracts more than three million visitors during New Year's Eve and San-ga-nichi (refer to #080) period every year.